It is easy to give a Skippers Ticket course as a Present to someone. Make a booking using our easy to use ORDER – a – TRAINER system (buttons on the right). Click button 1 to see the options. But read this below first. No need to fit in with classes, it all works around what you want, when and where you want. The system will automatically dispatch a trainer to you (or to the gift receiver) at the location and time ordered. Put YOUR OWN email address and YOUR OWN mobile number, so all automated emails and SMS etc from the bookings computer go to you and not to the gift recipient. Put the recipients name on it however. Once the person has received the gift, just tell us the persons correct mobile number and email and the system will be changed and the person will receive all the information and course notes etc. Write VOUCHER in the notes section, and a Voucher will be emailed to you so you can print and laminate and give to the lucky person. 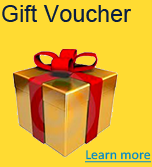 Gift Vouchers cannot be Refunded. No Exceptions.